As flag leaf fungicide spraying draws to an end, it is a good time to review the success of grass-weed control programmes and start to put action plans in place which may have a major effect on next season’s cropping plans. On fields where we are losing the battle with grass-weeds, despite large herbicide spends, radical approaches to whole farm policy may be required if we are going to continue to successfully grow cereal crops in these fields. In order to take pressure of our depleted chemistry set, it is going to be important we utilise cultural control as much as possible. Cultivations could have a huge role to play. If control has been particularly bad, ploughing could be considered in order to bury black-grass seed. Undisturbed deep-buried black-grass seeds are likely to lose viability at anything up to 70% per year. But for this technique to be successful, it is important any surviving seeds are not brought to the surface the following year so only rotational ploughing will be useful. If on the other hand black-grass control this season has been good, then minimum soil disturbance could be the best practice in order to ‘wake up’ as few black-grass seeds as possible. Other popular cultural options include using high seed rates of aggressive varieties to help out compete black-grass, and while this may help, it is certainly not the complete answer. Achieving a good, consolidated seedbed in order to give residual chemistry the best conditions to work in is a must, and if there is plenty of moisture, stacking residual grass-weed herbicides with different modes of action can still provide good levels of control. This can be further improved by applying tri-allate (Avadex) to the programme and for this autumn the approval in wheat of ethofumesate will certainly bolster residual activity. 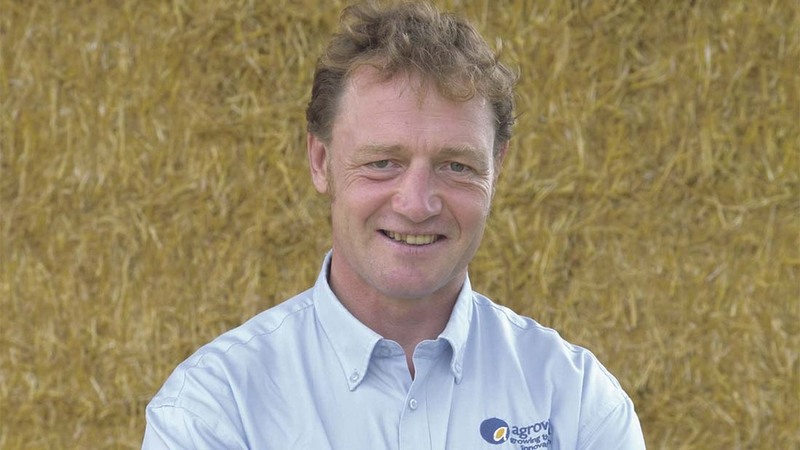 Delaying drilling to allow multiple stale seedbeds and the peak autumn flush of black-grass to be completed before sowing takes place can also be useful in reducing black-grass populations, however it does bring its own risks as last autumn demonstrated. Spring cropping is undoubtedly one of the most consistent ways of reducing black-grass populations. There are potential issues with this, however. Firstly worst black-grass fields tend to be the heavier, colder soils which are not ideally suited to spring cropping, and secondly it is often debated if we turn to more spring cropping, the population dynamics will change within the black-grass population encouraging more black-grass to germinate in spring. The use of cover crops prior to spring cropping can alleviate these two potential problems. By using the correct choice of autumn-sown cover crop, based around black oats and legumes, we are able to use ‘sun-powered’ roots to condition and dry soils out over winter, improving the reliability of establishing a spring crop on cold heavy land. The other major benefit to this mix is it has an open growth habit in autumn allowing the black-grass to germinate and grow in among the cover crop, before both are destroyed with glyphosate. As the cover crop will have helped structure the soil, this then allows the spring crop to be direct drilled with minimal soil disturbance, not encouraging the black-grass to be ‘woken up’ in spring. Furthermore, the roots from the destructed cover crop work hand-in-hand with the direct drill stabilising the soil and minimising the risk of disturbing black-grass seeds in spring.